Born in Southern California and influenced by the numerous sunny days and the Mexican artistic vibrancy of the region, I have always loved bold colour and design. With a bright palette, I captured the local landscapes in watercolours before studying textile design where I fell for the strong compositions of the 20’s, 30’s and 40’s. I began working with silk on a one day course and never looked back. Silk shows off colour better than any other fibre and nothing feels more luxurious on the skin. 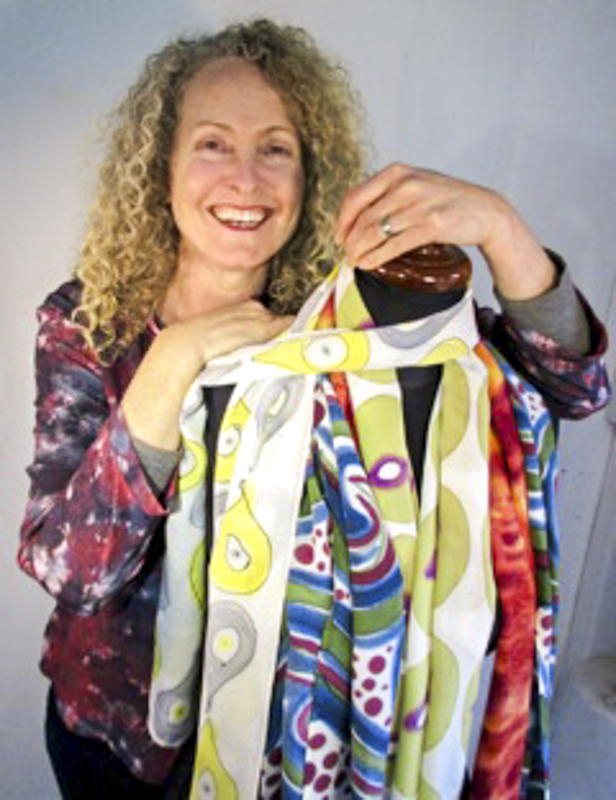 I hand paint and hand dye silk and then sew simple styles of clothing to showcase my textile designs. Using silk crepe or silk satin, my tops and dresses are made for comfort and will suit varied shapes and sizes. Flowing freely or belted, silk wraps around a body beautifully.